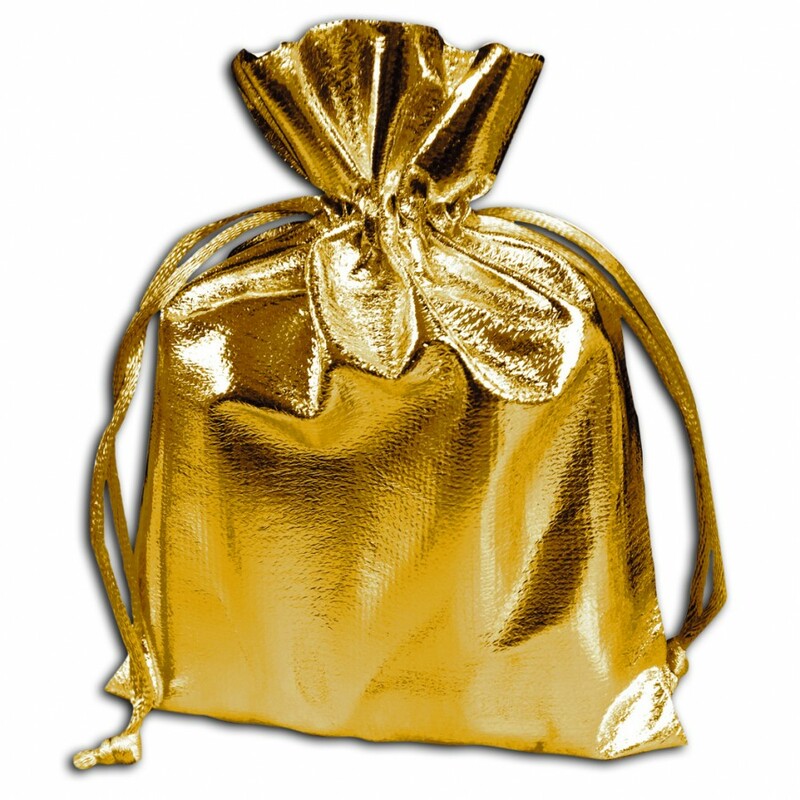 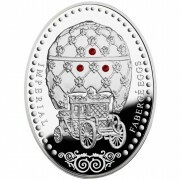 The Mint of Poland presents gold edition of the popular series “Imperial Fabergé Eggs”. 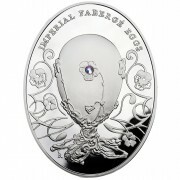 Imperial Fabergé Eggs, known also as Tsar’s Fabergé Eggs, are considered masterpieces of the jeweller’s art and a symbol of extravagance and luxury. 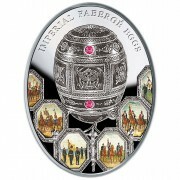 Created by Peter Carl Fabergé and his assistants for tsars: Alexander III and Nicholas II of Russia, the eggs were made of gold and silver and decorated with enamels and precious stones. 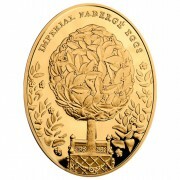 The “Coronation Egg” coin was struck in a limited mintage – 222 pcs, on gold Au 900 blanks, in proof quality. 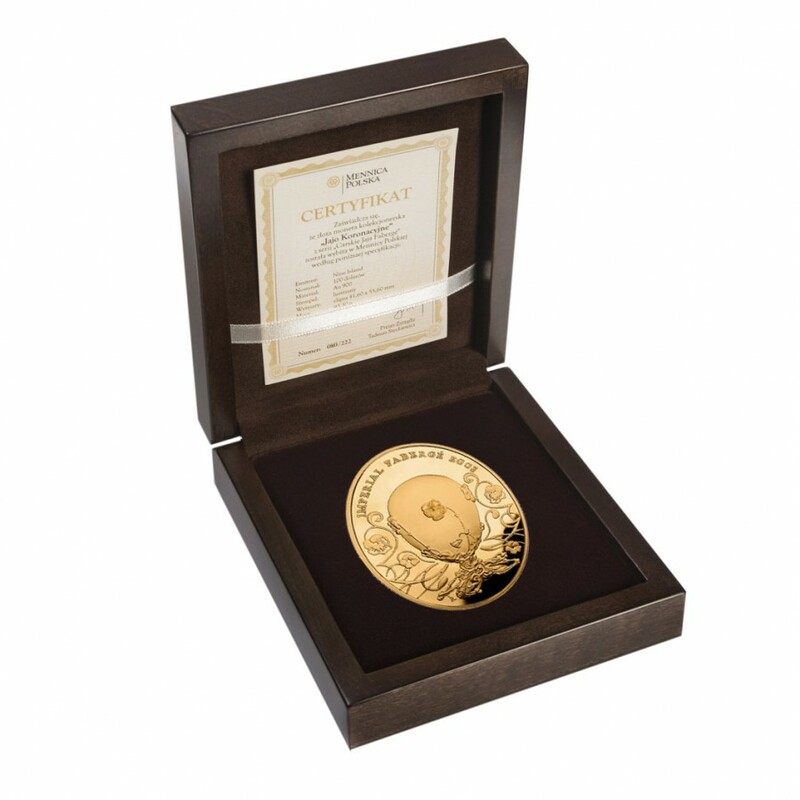 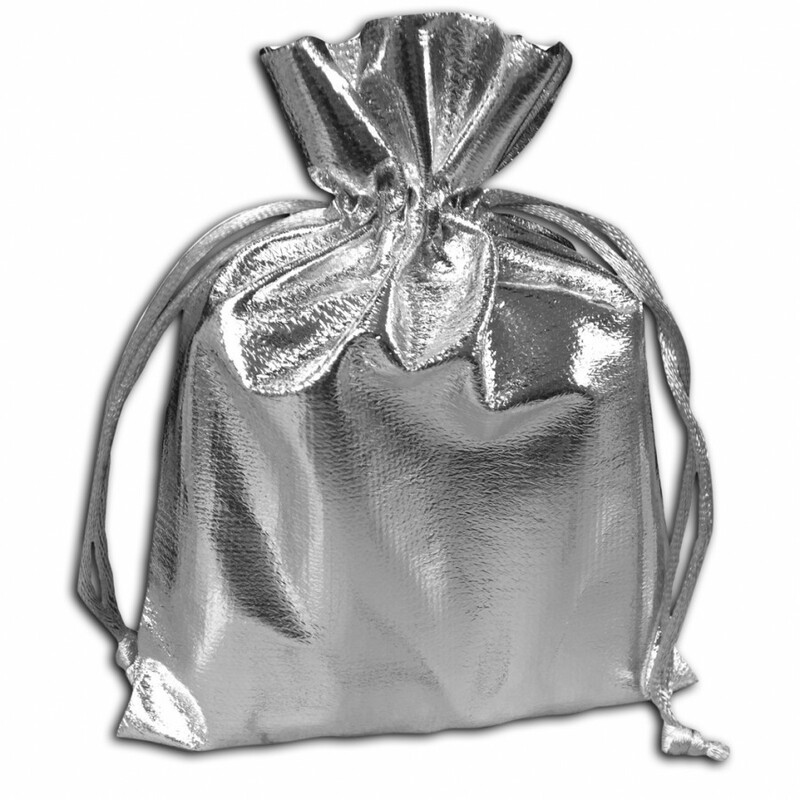 The coin is offered in an exclusive case with a numbered certificate of authenticity of the Mint of Poland. 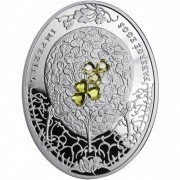 The "Pansy Egg" is also known as the "Jade Egg".This name originates from the precious stone from which it has been made.In addition to jade, the egg used to be decorated with diamonds. It stands on a bunch of carved leaves, made of gold, from which stem five buds of pansies, enameled with various shades of purple. After opening the top part of the egg one can see a decorated with pearls gold heart, on which there are eleven tiny medallions in the shape of strawberries. 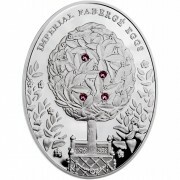 All of them are connected by a monogram in the shape of the letter M. When opened, the medallions uncover the portaits of all members of the imperial family. 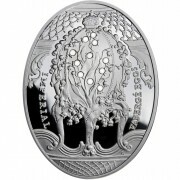 At the top of the heart there is a floral wreath surrounding the star of Bethlehem. 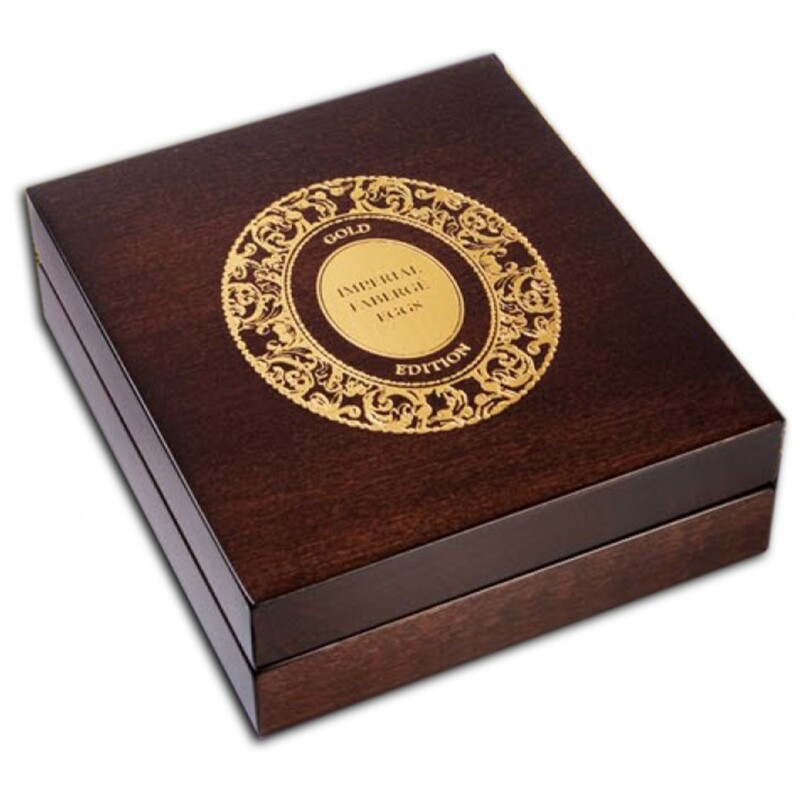 Below it there appears the year 1899 of complection of the work. 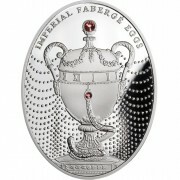 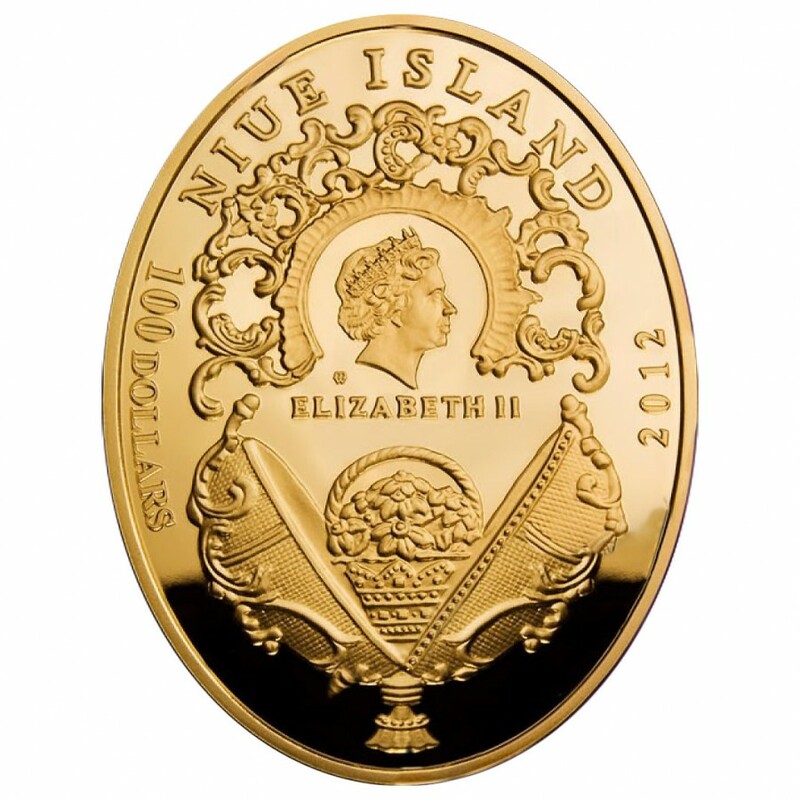 Until now the following coins have been released: "Coronation Egg", "Lily of the Valley Egg", "Clover Leaf Egg", “Duchess of Marlborough Egg” and “Pansy Egg”.